Filipino Quotes: What of Filipino Heroes for Filipinos and Fil-Ams in the United States? 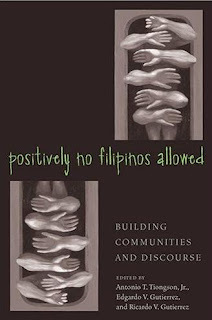 What of Filipino Heroes for Filipinos and Fil-Ams in the United States? "One hundred years later, Filipinos in the United States and Filipino Americans have every reason to ask what Rizal - along with the revolution he inadvertently inspired some seven thousand miles across the Pacific Ocean- has to do with student and academic communities in the United States today. They certainly won't appear in most classes on U.S. history, or Asian American OR U.S. ethnic studies for that matter. Why should Americans (even US minorities) concern themselves with FIlipino- or for that matter any extra- or anti- United States- nationalism? If anything, Filipino immigrants taking the Immigration and Naturalization Service (INS) exam might find more compelling reasons to know the importance of Abraham Lincoln and Martin Luther King, Jr. than the likes of Rizal, Marcelo H. del Pilar, or Graciano Lopez Jaena- three Filipino intellectuals and publicists who wrote mostly in Spanish, had conflicting loyalties between mother Spain and their native Filipinas, and didn't have much of an opinion on the United States by the time they died in 1896. Even if thousands of US-based Filipinos and Filipino Americans continue to commemorate Rizal's execution on Rizal Day (December 30), celebrated with food and formal dress everywhere from Alexandria to Detroit, how many of us know or care that del Pilar and Lopez Jaena died of poverty and tuberculosis (the same year Rizal died), neglected and forgotten by everyone, as a new generation of Filipino thinkers and revolutionaries braced itself for a war against the past and future empires of the Western world? And if we did know the history of those who inspired an entire generation to go to war against the superior arms and resources of that vast and powerful North American country, would we care?"